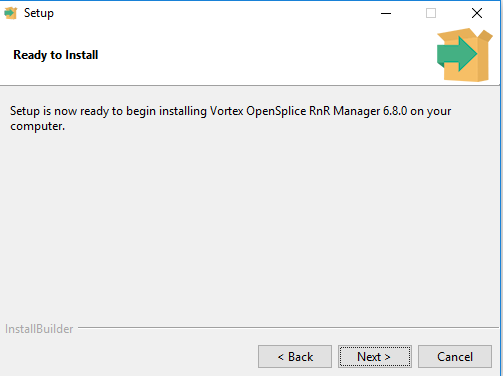 This article explains how to go about installing the Record and Replay Manager, a tool to control Vortex OpenSplice Record and Replay Services (RnR Services) and to inspect and change recorded data. Record and Replay is a pluggable service which comes with Vortex OpenSplice. You will need to have a Vortex OpenSplice installation. To use the Record and Replay (RnR) service you need to configure it. 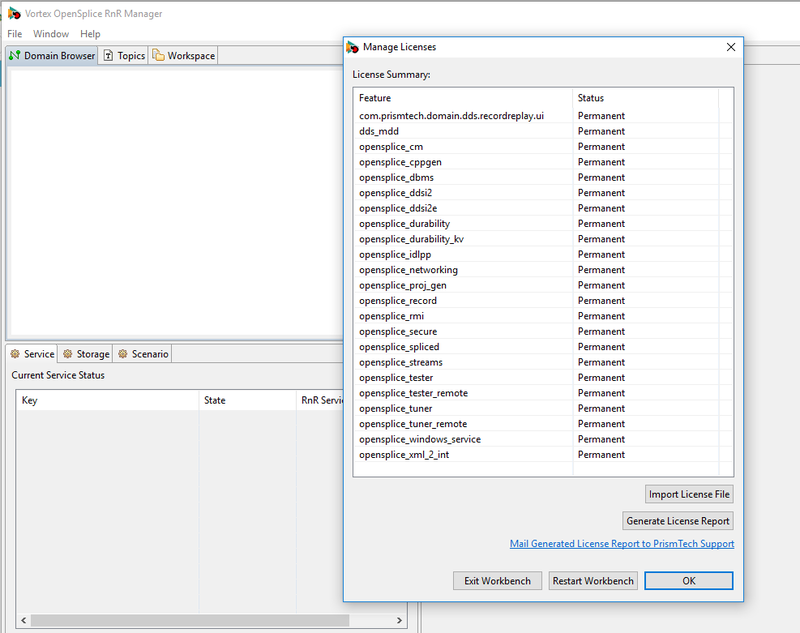 The Vortex OpenSplice Record and Replay manager is available as a separate download. In order to use it you need to install it. Oracle Java version 1.6 or above. The Vortex OpenSplice installation does not need to be on the same system in order to control the RnR service. However some features of the RnR manager do require a local installation in order to operate. 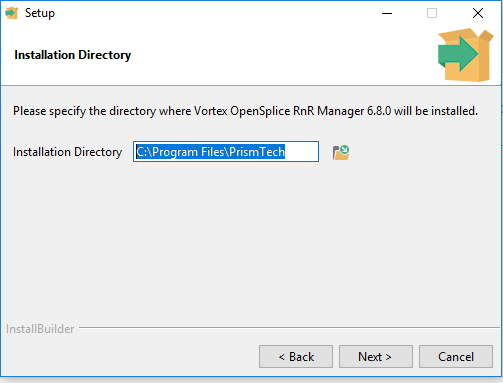 For example connecting to a locally running Vortex OpenSplice domain using Domain URI, or Domain ID, and the storage Import/Export functions. where <version> is the release version number and <platform> is the build for your platform. where <version> is the release version number. This will start the set up wizard. Click Next to continue. The next screen will ask you to accept the license agreement. Click “I accept the agreement” and then you can click “Next”. 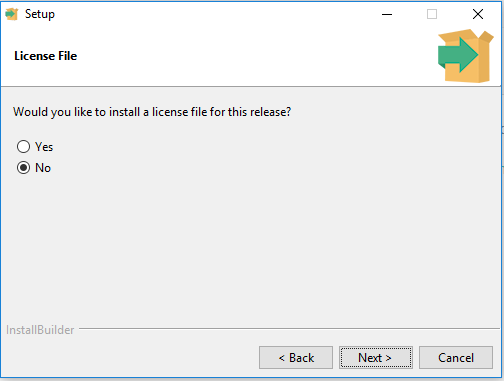 Next it asks you if you wish to install a license file for this release. You need a license for the product to work correctly. If you have one choose yes. You can add a license later if you do not have one available. Choosing “Yes” will bring you to a screen where you can browse to the location where you have the license file installed. 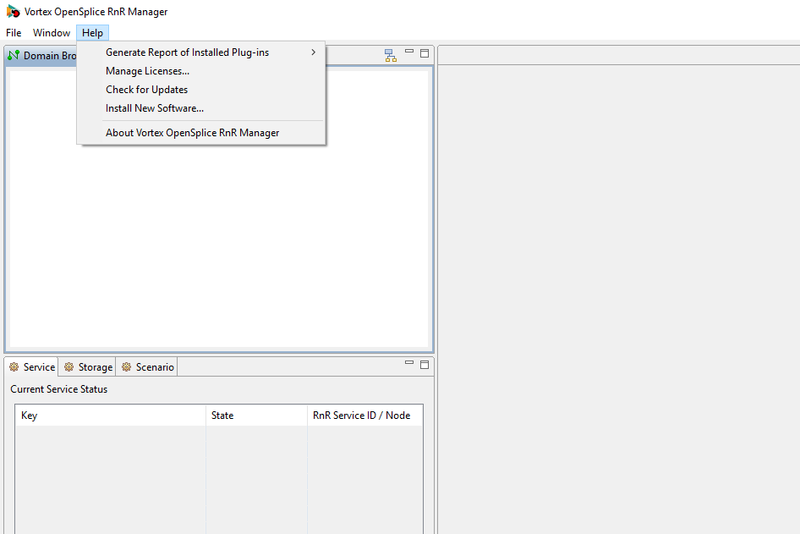 After clicking next you will be told that set up is ready to install the RnR manager tool. Clicking “Next” will start the installation. To start the RnR manager you need to execute the startRnRManager script. This can be found in the eclipse directory of the RnR Manager installation. 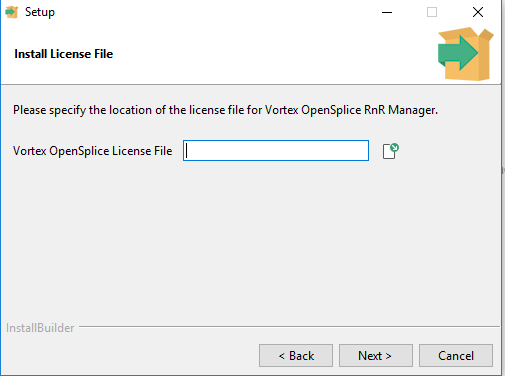 The script will ensure that all the Vortex OpenSplice environment variables have been set correctly before starting the application. The startRnRManager script allows you to pass in command line options to the application. Any command line options accepted by an Eclipse application are also accepted by RnR Manager. A particularly useful option is -data <directory>. This allows you to specify a custom directory for the RnR Manager workspace. This is helpful if the default directory is shared or write protected. On windows you can also start the RnR manager tool from the start menu. 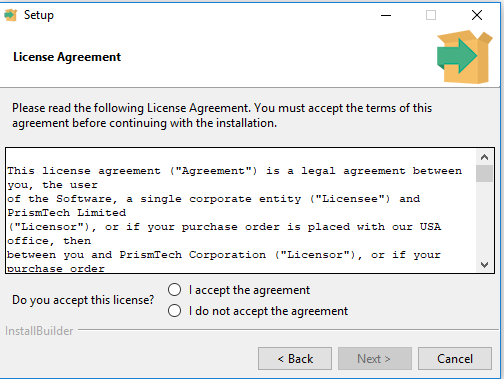 During the installation, you have the option of specifying the license file. If you did not do this you will see an license error message when you start the RnR Manager. To install a license file you need to click the Manage License button. This is found under the Help menu. This will bring up a new menu. Click on the Import License File button and you can browse to the location of the license you wish to install. After installing the license you need to click the restart workbench button. What is Vortex Opensplice Tuner?